Centrally located and just moments from Hwy 1 freeway access. 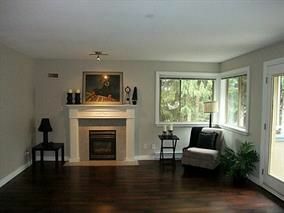 Close to new hospital and University of Fraser Valley. Freshly painted, quality laminate in main living area. Cozy gas fireplace. Generous sized bedrooms. Unique floor plan - worth take a peek. Private balcony. 2 under ground parking spots and storage locker. No age restrictions. Pets allowed with some restrictions.